There is only one thing as good as acquiring a brand-new Mazda and that’s driving away in an Approved Used model. At Croydon Mazda, we supply numerous high-quality pre-owned vehicles, in addition to an extensive range of products and services that includes the latest cars from the Japanese marque. 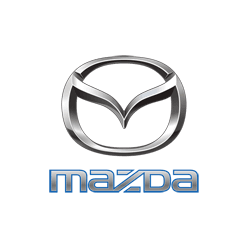 Our manufacturer-trained technical team personally see to it that only the very best previously owned Mazda models are available to purchase at our dealership. If a vehicle falls short of our comprehensive and exacting quality criteria, we will not offer it for sale. In this way, we ensure that only the very best Approved Used examples are available to our customers. One of the great things about our pre-owned range is that it features a combination of nearly-new and recently retired models, providing you with plenty of choice. Each of our Approved Used vehicles comes with a competitive price tag, which can be made even more affordable with one of our special offers. Our money-saving deals enable you to select a first-rate pre-owned Mazda upon payment of a modest deposit, followed by low, fixed-rate monthly instalments that are payable over an agreed term. Even better, many of our previously owned vehicles require zero-rate monthly repayments. Take the time to explore our current Approved Used car offers; you can easily filter the results on our website according to your preferences. If you see a model that interests you, don’t hesitate to book a test drive with us today. The easiest way to do so is by completing our online contact form – we will respond quickly to confirm details of your appointment. If you prefer, feel free to phone or visit us any day of the week.